Can one go under 1200 calories? Are you afraid you'll be hungry? How to choose your foods ? Where there are no real hormonal issues, losing weight is simply a matter of eating less and exercising – a truth that we know we need to accept. Excessive fat does not accumulate out of thin air, it is a gradual progression, caused by too much or too heavy food, which may or may not be processed correctly. Once you know your weight problem is caused by overeating, what stops you from starting portion control? There can be many answers here, but a particular one is especially troublesome: the hunger that comes with less food. We are going to discuss probably the most popular calorie-restrictive diet from various perspectives, including that of hunger – and how to master it. The diet is meant for women, but it can also be adapted to men, who usually need to consume more (at least 1500 calories) to go through the day, their bodies being larger and their muscles calling for more fuel. It is only calorie-restrictive, allowing one to eat foods from all the major groups. Still, one has to learn to make the better choices – thus, fast-food and processed or fattening products will be avoided. Cutting calories is indisputably the surest way to lose fat and the 1200 Calorie diet will not fail anyone. The mechanism behind it is really simple to understand. The body requires a certain number of calories to work properly and maintain its weight. When the individual consumes calories beyond this number, the body stores what’s in excess, thus accumulating fat. When the number falls below what is needed, there isn’t enough fuel for the daily processes, which means that the body must begin to use its stored fat (or muscle mass, if there isn’t much fat available). 1200 calories represent less than what a person should eat in order to preserve their weight. The body thus has to compensate and starts burning away its layers of fat, leading to weight loss. It’s a reaction that occurs at any age, therefore anyone can successfully employ this method. While this is certainly possible, it is not advisable. When eating under 1200, there aren’t enough nutrients. The body and mind become weak and the person unable to cope with daily tasks. This state can be dangerous. Deficiencies develop very quickly this way. Once installed, you will have to take time and spend money on supplements to bring mineral and vitamin levels back to normal. Besides, if you’re hoping to exercise, it becomes impossible if you’re underfed and you might even start losing muscle mass. In addition, the metabolism slows down, making you store more fat in future since you’re not feeding it accordingly. 1200 is a value backed by researchers and is considered totally safe. There is no point in feeling brave and eating even less than that, it’s in fact a dangerous practice. Are you afraid you’ll be hungry? Overweight people cannot stop from devouring food either because it brings emotional comfort or because they have an unstoppable hunger. When their will is strong enough, they can consume less. However, a lack of satiety eventually makes them feel terrible and crave for more food. Hunger becomes obsessive and it feels like there is no way to get rid of it. Are you afraid you’re going to experience this problem? Don’t be. You can work in your diet foods and beverages that stop the sensation of hunger, such as green or black tea (or even coffee), watery vegetables and more. Drinking plenty of water can have that effect too, as it fills the stomach, stopping any further cravings. Furthermore, eating correctly gives you all the needed nutrients, which puts an end to your cravings. With every meal, you’re feeling more satisfied and the need to eat extra diminishes. Finally, you’re also allowed to snack with the 1200 Calorie Diet. If you’re the easily hungry type, choose a plan that counts a few snacks a day and you will be better. The more you can have of these, the better you’ll be. Protein helps build muscle, at the same time reducing the amount of fat. Fibers fill up the stomach and promote satiety, making you eat less. At the same time, these improve the digestion and the easy elimination of waste. As for the water, it regulates countless bodily processes. Contrary to what most believe, drinking more water won’t get you to store it inside the tissue and become ‘puffed’. How you plan our your day, especially the meals and snacks, is essential to the 1200 Calorie Diet. You have to think of your general habits and your cravings, then you can decide which plan to choose. Adjust the plan according to your daily schedule and to the moments when you feel most hungry. If you get hungry often, it’s good to opt for a plan that includes snacks. Remember to get your fibers from grains and vegetables. Avoid alcohol and soft drinks, as these will add loads of calories from unhealthy sugars. You can have one such drink a day, but never more. 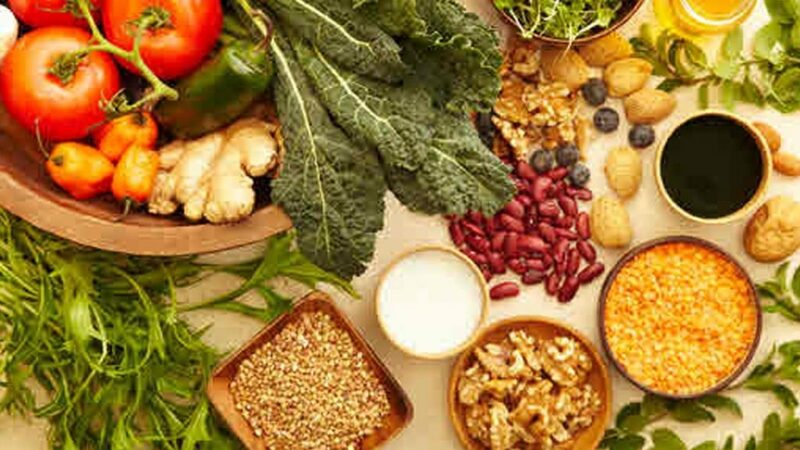 The foods to focus on are as follows: vegetables of any kind, especially radish, spinach, carrot, tomato, lettuce, cucumber, broccoli, sweet potato, sprouts. Also, have chickpeas and hummus, beans, leafy greens, mushrooms and onions, which are going to be very tasty additions to your meals. Lean meats and fish are allowed, as well as hard boiled eggs and dairy, like low-fat cottage cheese. Have whole wheat, oats, brown rice replace your usual refined cereals. Eat plenty of fruit, including avocado and use lemon as seasoning as often as you can. When you need to cook, choose grilling instead of frying. Make sure to always calculate the calories, counting the side dishes too, the oil, the seeds and anything you may add on top of the basic food. When added up, these can double the number of calories, at least. For this reason, it is best to refrain from making too complicated meals or using too many ingredients. The simpler it is, the easier to control. Isn’t it good to follow a diet that lets you snack? It does come with a few, rules, however. Avoid processed, readily made snacks like doughnuts, cereal bars, various pastries, chocolate, ice cream, salted chips etc. Choose low fat cheese and carrots, peanut butter with one apple, home-made popcorn, almonds and other types of nuts, fruits or yogurt. Sometimes, a healthy snack is as simple as a ripe banana. Or, you could have a smoothie made with fresh fruits. To make your smoothies more satisfying, you may use milk. Here is where it gets complicated for most people. It isn’t easy selecting and mixing the right ingredients to create meals that taste well, are satisfying and meet your caloric goal. This is why we will supply you with some ideas that work. Have one or two toast slices – it’s best if they’re wholewheat. Or, you could have just one and top it with butter. Get some fresh or canned fruit and make a fruit salad; eat ½ cup of it. Don’t add cream or anything else. If you like, have a cup of low-fat milk, too. Have ½ cup oatmeal, 1 cup yogurt and 1 cup of orange juice. You may follow up with a smoothie later. Get one boiled egg and a wholegrain English muffin. Add a slice of Swiss cheese – quick and effective. You may toast the muffin and make a sandwich. Scramble the egg and warm all the ingredients together for a delicious savory breakfast. Have 1 cup of light Greek yogurt mixed with one tablespoon of honey and ½ cup blueberries (can replace these with other kinds of berries) for a light, sweet and refreshing breakfast. Put less than 1 cup shredded wheat cereal and 2 tablespoons of raisins in a bowl. Add also 2 tablespoons of blueberries and fill the bowl with flavored almond milk. 1.Cook ½ cup tuna (only in water, no tomato sauce or oil), make one light small salad with olive oil or very thin mayonnaise and complete your lunch with 2 wholewheat bread slices. 2. Make an egg and spinach wrap by scrambling an egg with the spinach, adding 2 tablespoons of parmesan and cooking until it’s done, according to your personal taste. Use a wholegrain wrap to make a sandwich. 3. Prepare a protein-packed broccoli and quinoa bowl by using pre-boiled quinoa (¾ cup), 2 cups broccoli, ½ cup tomato sauce and 3 tablespoons of parmesan. Combine all ingredients and heat in a pan for 5 minutes. 4. Make Mac n’Cheese with veggies – cook ¾ cup macaroni with ¾ cup almond milk, ½ cup shredded cheddar cheese and 2 tbsp of wholewheat flour. Add steamed florets of cauliflower and broccoli. Bake one potato, have a sirloin steak that’s under 100 g, with ½ cup mushrooms and ¼ cup onions. Add 1 cup vegetables and use 1 teaspoon of oil for cooking. Cook 1 cup broccoli, grill 100 g chicken breast and add ½ cooked rice to the side. Make a flavorful black beans soup out of the canned variety and add 1 cup spinach plus 1 tablespoon of chia seeds. Heat them all together. Take ½ can of salmon and combine with ½ cup of precooked rice, 1 cup of broccoli and 3 tablespoons of parmesan. Make a salmon risotto by cooking these together on the stove top. While on the diet, you can have as many calorie-free drinks as you can. There are no limitations to the liquid intake, the body knows what to do with all the extra when it received proper nutrition (no excessive salt, for example). Try to do the diet for at least 7 days. For best, long-lasting results, aim for 90 days straight. This will also help you generate new culinary habits and thus you will find it easy to do what’s good for you. 1200 calories are enough to preserve your muscle mass so do not worry about that aspect. If you want, you may do weight training to develop your muscular mass even further, but don’t exaggerate; too much of this will leave you very hungry. Refrain from eating at restaurants, because one meal alone may easily reach up to 1200 calories. Chefs add sauce, fats and many other extras to make their meals tasty and fulfilling but don’t care about your silhouette. Since you will be eating less than usual. you may have to take a multi-mineral supplement, to lower the risk of deficiencies. This is sensible advice anyone must use for the whole duration of the diet. Feel free to explore for more ideas on the 1200 Calorie Diet, as there are hundreds of them. 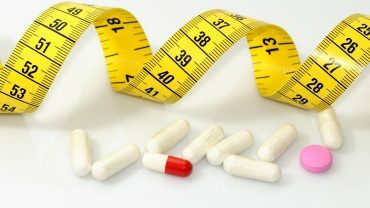 It is perhaps one of the least dull protocols for weight loss. We recommend you try it out for 7 days to be convinced of its efficiency. At the end of this 7-day period, your hunger should already feel less intense.